Gan Israel Preschool is committed to providing a superb experience to young children in the Jewish community in Howard County, and to working with their families to facilitate the social, physical, intellectual, creative, emotional, and spiritual development of each child. 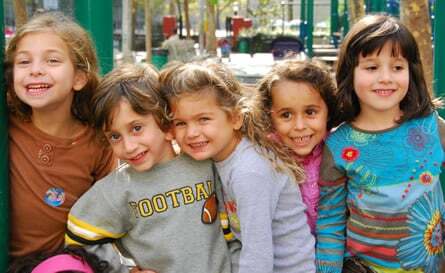 Gan Israel Preschool strives to enable each child to thrive as an individual, and be infused with Jewish values and traditions. Nearly a million Jewish children are touched via Chabad Lubavitch schools, institutions, summer camps and extra curricular programs around the world each year. Chabad centres everywhere, serve the needs of all Jews no matter what their level of knowledge, observance or affiliation. Throughout the day I try to share. For my friends, I truly care.